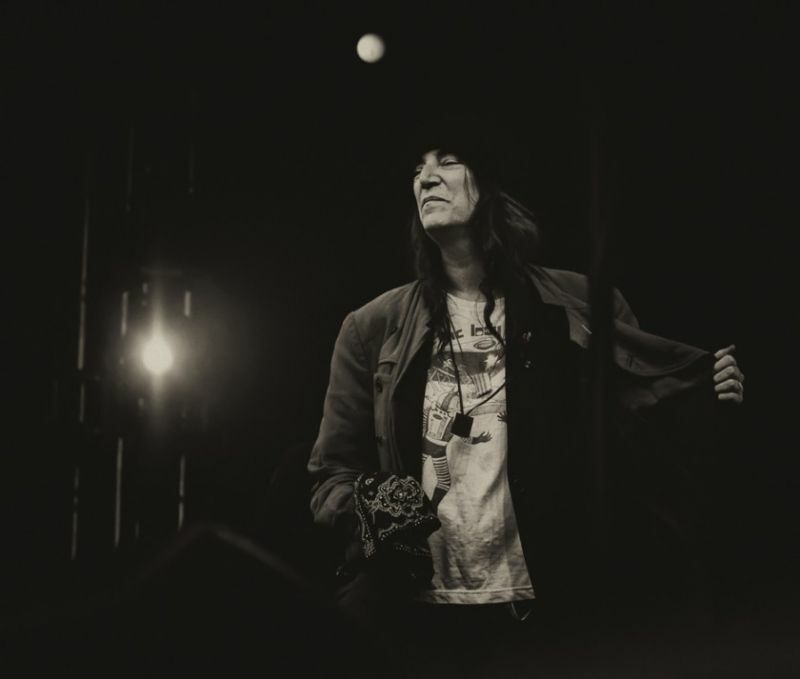 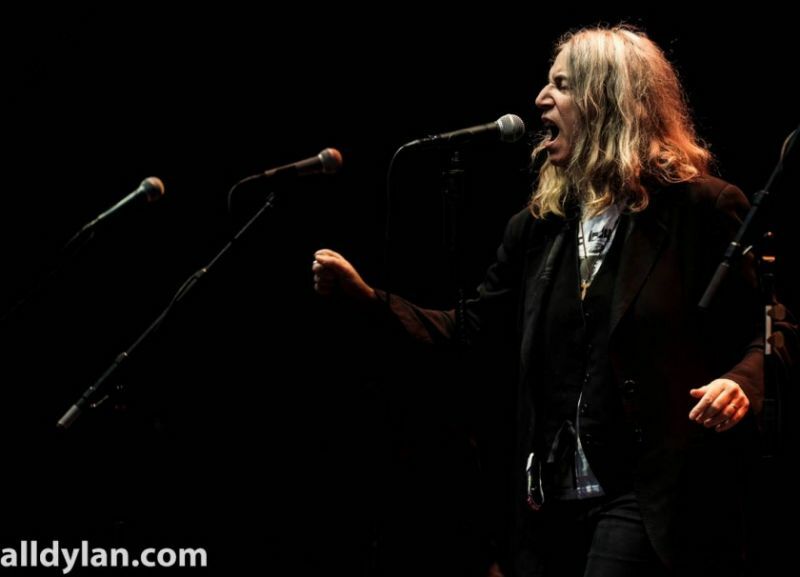 Patti Smith was born in Chicago in 1946, grew up mainly in New Jersey, then moved to New York, where she is an important exponent of the New York punk rock and poetry scene. 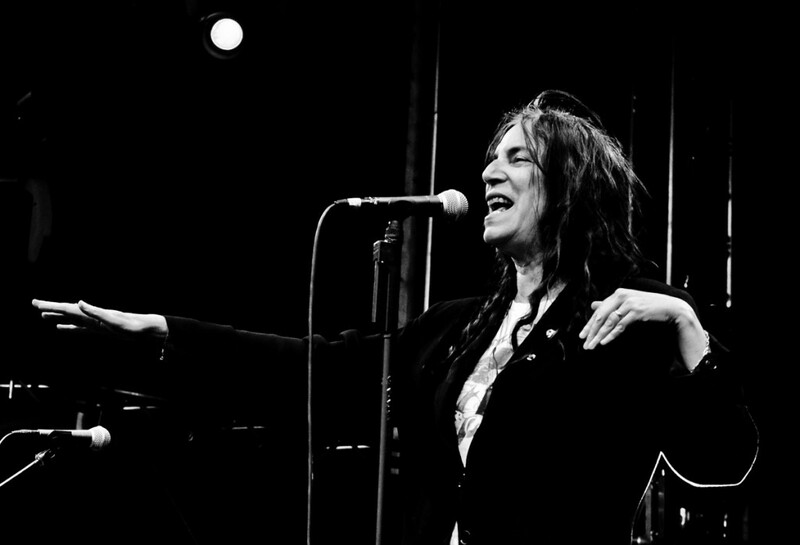 Her big idols were The Rolling Stones, and she once said that she kept alive just to see what Stones would do next. 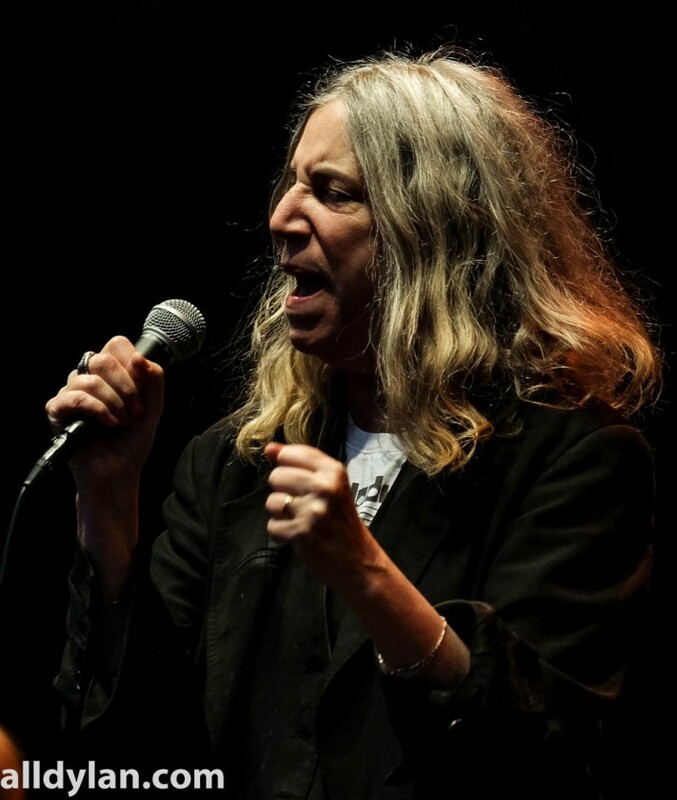 Another important influence is Bob Dylan, whose ‘Blonde on Blonde’ was a decisive experience for her, the admiration was mutual and they have performed together on several occasions. 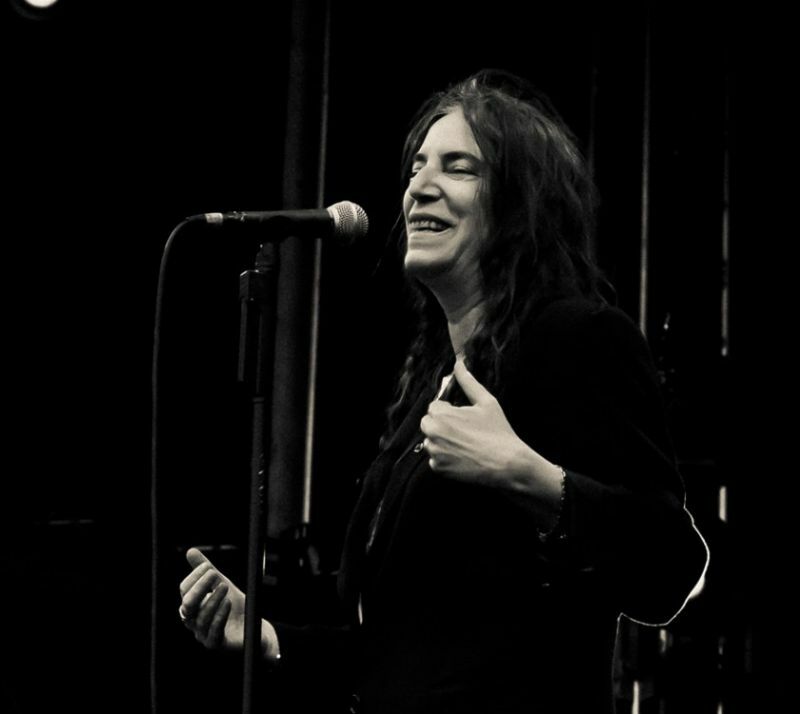 She started as a poet but drifted into Rock’n Roll. 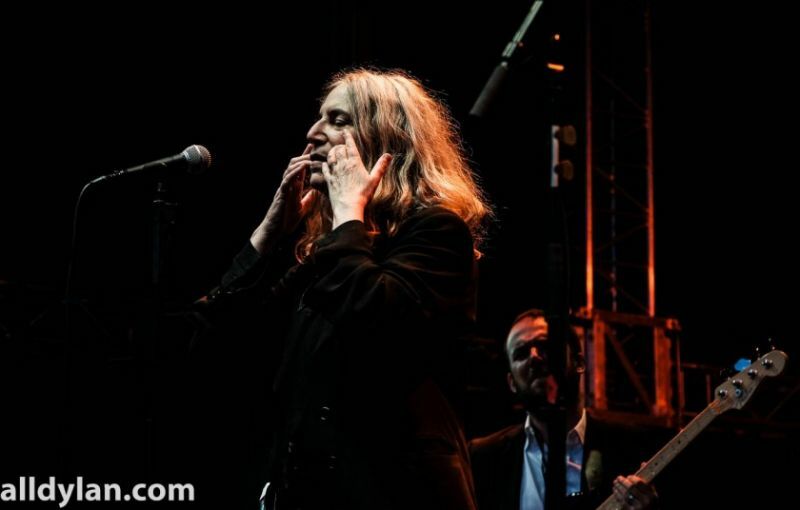 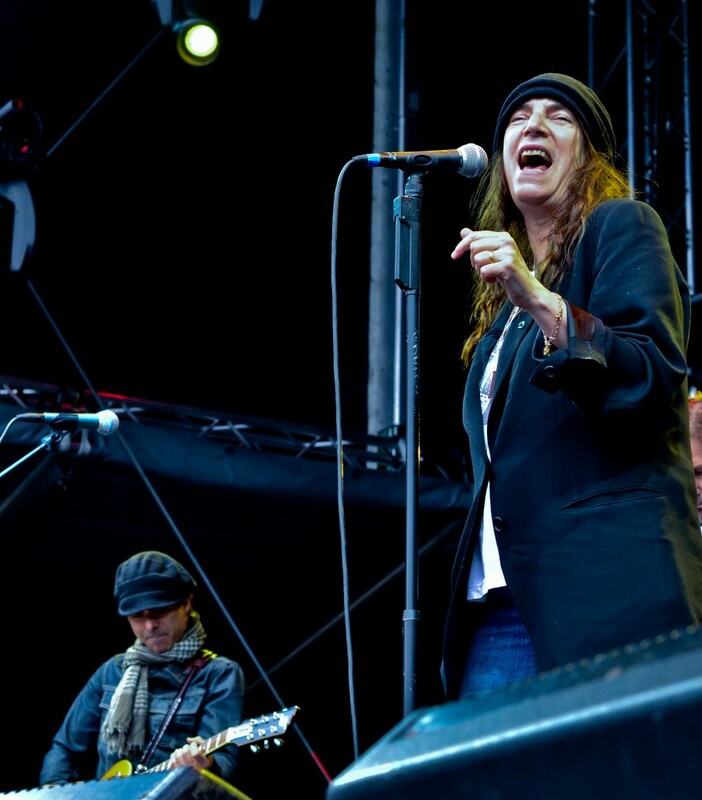 Patti Smith is one of our favourite artists and she has also covered Dylan on several occasions. 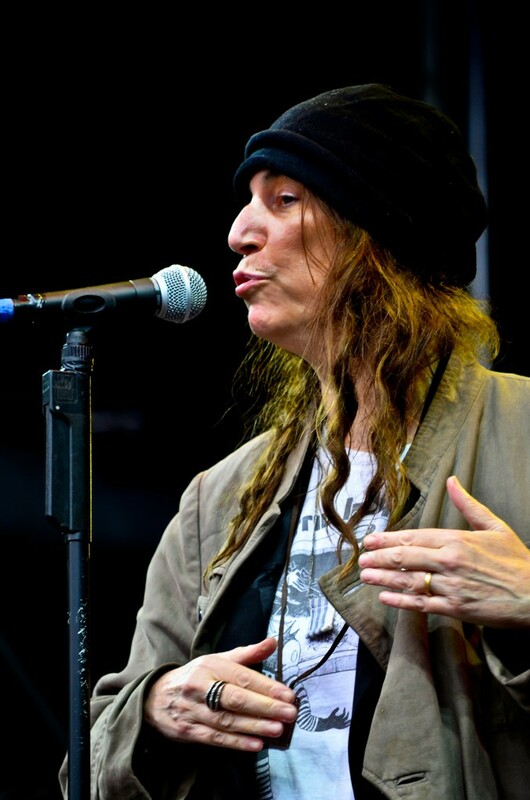 She is one hell of a Dylan interpreter! 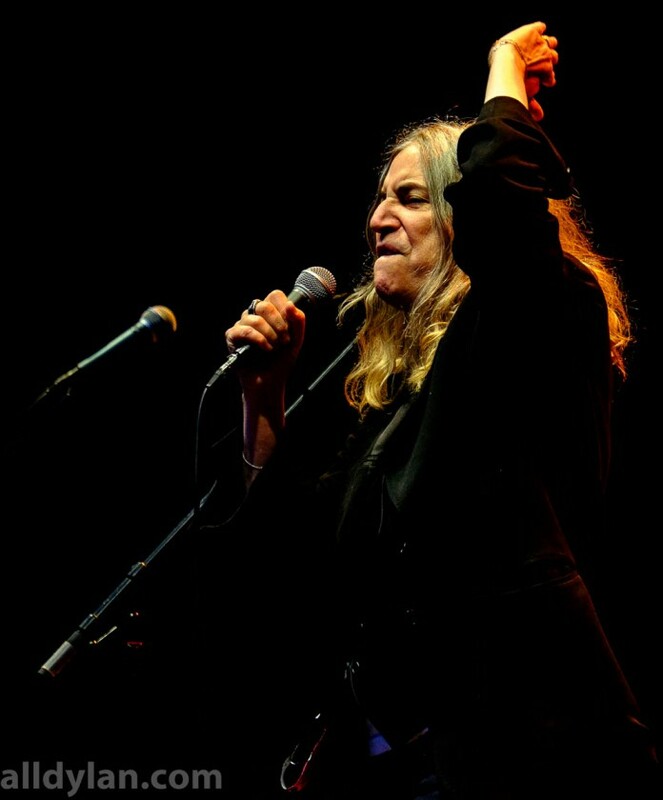 Of all the songwriter/performers of the last 60+ years, such as: the Guthries, Chuck Berry, Lieber /Stoller, Aretha Franklin, Leonard Cohen, John Prine, Otis Redding, Ike & Tina Turner, Tom Waits, Nanci Griffith, Smokey Robinson, Curtis Mayfield, Holland-Dozier-Holland, James Brown, Carole King, Jagger & Richards, Marvin Gaye, Lennon & McCartney, Robert Hunter & the Dead, Patti Smith, Warren Zevon, Joni Mitchell, Ray Charles, Fagen & Becker, Van Morrison and many many more, Bob Dylan has always had the greatest lyrics of them all.